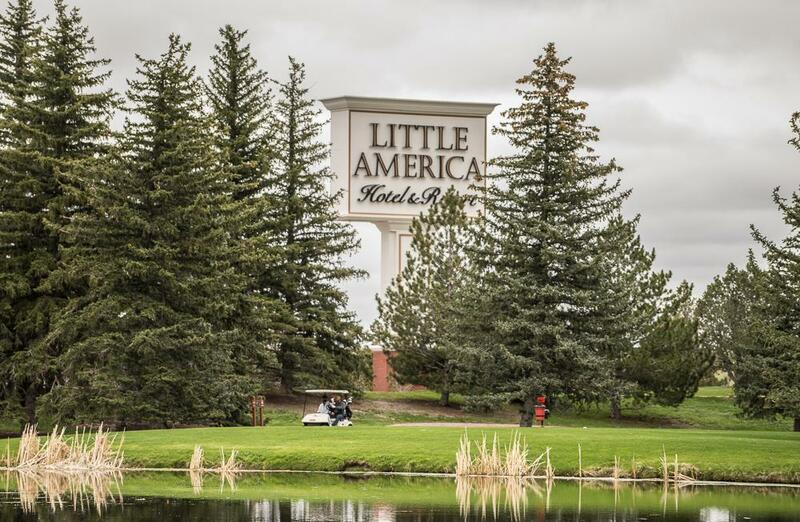 In the midst of the vast wyoming prairie you ll find little america cheyenne an 80-acre oasis of luxury and service surrounded by beautifully groomed grounds a nine-hole executive golf course and an olympic size outdoor swimming pool. Little america hotel in cheyenne is located conveniently at the junction of interstate 80 and interstate 25 within minutes of downtown cheyenne the state capitol f.e. Warren air force base and cheyenne frontier days park. The little america hotel in cheyenne offers 188 luxurious oversized guestrooms each with 37inch flat screen televisions down pillows and other luxury amenities. The grounds are beautifully landscaped with flower gardens. Attended to by an eager and friendly staff you will be impressed by the quality of service and commitment to excellence. THE LITTLE AMERICA CHEYENNE HOTEL IS A FIRST CLASS MOTEL LOCATED IN CHEYENNE WY. Cancel by 4pm hotel time day of arrival to avoid a penalty of one nights room and tax. Exceptions may apply - please see rate rules. Named for stan hathaway governor of the state of wyoming from 1967 to 1975 hathaways is one of cheyennes premier restaurants. We are known for our weekday luncheon buffet elegant twists on classic dishes and our traditional comfort foods. Relax in our charming cafe and enjoy gourmet coffee-tea-frappes-pastries-ice cream-sandwiches and wraps. Carols cafe is the perfect place to get a morning coffee-grab a quick lunch or to enjoy a relaxing afternoon with friends. Inviting and smoke-free hathaways lounge offers cool drinks hot appetizers and a relaxing environment to catch up with friends or watch the big game on our large screen televisions.